July ends with a local photographer, here in sunny San Diego. Paul Sapiano takes the Day for a poignant photo from the petting zoo. “I found it quite touching that some comfort was being provided by the sheep”, he says. So do I find it to be moving—and interesting. 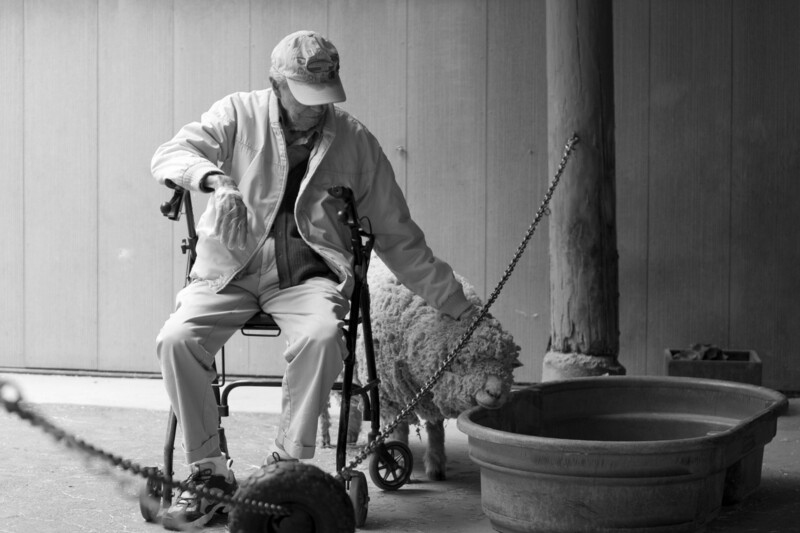 Paul shot self-titled “Old Man and His Sheep” on April 28, 2008, using Canon EOS 30D. Vitals: f/2.8, ISO 100, 1/50 sec., 70mm. He joined Flickr in June 2005. Do also follow his Twitter for news about photographers and for shooting tips.